++ Decide to have a good day. ++ Avoid negative news channels. 2. 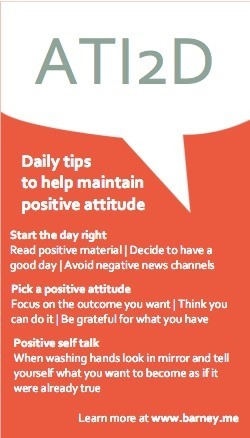 Pick a positive attitude. ++ Focus on the outcome you want. ++ Think you can do it. ++ Be grateful for what you have. ++ When washing hands look in mirror and tell yourself what you want to become as if it we’re already true.